The Leganés striker has seven goals in the league so far this year beating Messi (six). In Europe only Agüero (eight) carries more. Cavani also matches him with seven goals. Youseff In Nesyri surprises in action. There is something ungainly in his running patizambo. To move at full speed 193 centimeters of untied soccer player is not easy. At times, it lacks coordination. Or rather, it was missing. It is increasingly a matter of the past that the ball is left behind or that a dodge does not come out of it because it runs faster than his mind. No. Nesyri is now another. A top striker at the level of the best in Europe. His football says so. His numbers shout. 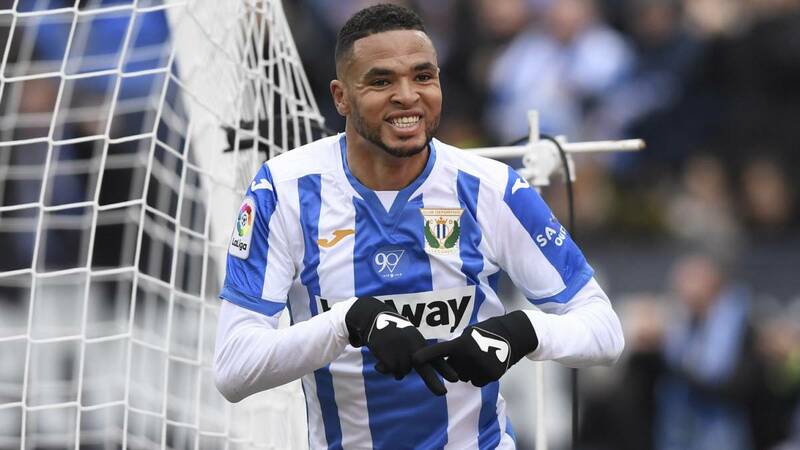 This 21-year-old Moroccan international has accumulated seven goals with Leganés since it began 2019. 70% of the 10 that his team has made between the League and the Cup in this natural period. In Spain is the best gunner of First in what we have of the year ahead of Leo Messi himself (6 goals) . If we expand the look, in the five big leagues of the old continent only Kun Agüero exceeds with eight points. Cavani, with seven other goals, matches him. In Nesyri he already sits at the table of myths. That he keeps himself between them is a matter of work and attitude. Of "humility." The quotation marks are from your coach. Mauricio Pellegrino does not tire of praising him whenever he can, but in his messages of praise there are also words of caution. Almost paternalistic advice. "When he has something more calm, he will be a very high level player. For his natural abilities. It will depend on your mentality to keep improving. There are things that can be polished: protect the ball, secure the pass ... small aspects that will make it a better player. For example, how to finish with the inside of the foot. Like today in his third goal, which was a pass to the net, what would Menotti say, "said Flaco yesterday after the hat-trick that wiped out the Betis. Your game is Leganés history for being the first cucumber that achieves a triplet in the First and to overcome, with ten goals in official competition, the eight scored by Szymanowski in the season 16-17, individual ceiling of a blue and white in the elite. "The truth is that I am very happy for the three goals and for being the first Leganés player to make a hat-trick in Primera. The ball? It will be for my mother, for her house. She is the best I have, "said En Nesyri himself after the match with a half-Andalusian, half-French accent. Now his next goal is to reach the 21 goals made by Arruabarrena and Quini in Segunda B. Nobody in the Lega has scored more goals in professional soccer in the same course. Maybe In Nesyri he is the first to achieve it. Meanwhile, keep giving points to the team. There are already 13 that he has achieved thanks to his punch of the 29 that the Madrilenians add up throughout the season, more than one third. And not with any goals. Against Eibar, for example, he chased a goal at 2.27 meters high. A scandal. "In Leganés will last little"
Su signing by the pepineros was a matter of State. Eterna negotiation with Málaga (or with Sheikh Al-Thani, rather) that began at the beginning of last summer and that was closed with two weeks to finish the summer market. It cost 5 million euros to convert him, with Arnáiz (same price) in the most expensive player in club history. Its clause is a secret that is kept under lock and key in Butarque, although it is known that Malaga has a repurchase option for 15 million euros in case there is promotion to First of the Andalusians. It was an express request of Al-Thani himself, in love with his game. A price that, given his current performance, is a candy. It would also be paid double. Scorers like In Nesyri are counted on the fingers of the hand. In Butarque they begin to be clear that they will not lack brides in the next weeks. "I was talking to Pichu in the dressing room. A at this level, unfortunately, I think it will last little in the Leganés. The Lega is going to put a big ball with En Nesyri ", said yesterday after the match his teammate Juanfran. "Every day improves, works more, goals improve. He is a boy who has to continue like this. It has to be ready. In football you can reach the highest. If he is ready we can be before a player who can be among the first five teams of LaLiga perfectly. It's brutal, "insisted the Madrid. Juanfran is one of the veterans of the staff that pamper him. Although none like El Zhar, who acts as elder brother in the blanquiazul template. Family type, En Nesyri appreciates his tutelage. It always felt good to feel accompanied, protected. That was one of the reasons why En Nesyri did not sign for Chelsea when, as a kid, he left the Mohamed VI Academy in Morocco where he was trained to be three weeks on probation.n London. But there he felt alone. The weather did not help either. In Malaga, however, he found the sun that longed for his native Fès. And not so far from your country. It was the ideal place. Manel Casanova hand in hand with the Andalusians in exchange for 125,000 euros and a fifth of a future transfer, that is, the Mohamed VI Academy received one million of the five paid by the Leganés and, Looking at their current performance, they could fall short. In Nesyri is untied. In Spain currently play ocho Moroccan footballers divided between First Division (four) and Second (four) . Málaga is the club that has more representatives alauís on its campus with three members. Namely, Abdelkabir Abqar, Badr Boulahroud and Hicham Boussefiane. It is closely followed by Leganes , with En Nesyri and Nabil El Zhar. The Zohuair Feddal (whom En Nesyri went crazy on Sunday against Betis) and Yassine Bounou, goalkeeper of Girona, also play in the elite. The eighth Moroccan representative in Spain is Abdel Barrada, ex-leader of Getafe currently in the ranks of Nàstic de Tarragona.